The cost of education is always rising, so it makes sense to find out what, if any, scholarship and grant programs are available to prospective, college-bound students in South Carolina. These programs can help with the heavy financial burden and there are a number of applicable programs for residents of South Carolina. Financial funding programs are a great way to assist you with paying your way through school, and below is a complete list of those grants and scholarships for South Carolina residents. Where Should You Begin Searching for Your Grant? The South Carolina Need-Based Grants Program awards grants to 23,485 undergraduate students attending SC colleges. The amount of each award ranges from $1,250 to $2,500 per year. South Carolina’s Tuition Grants Program gives 11,000 undergraduate students between $100 and $3,240 annually. To apply, you must be a South Carolina resident; a full-time undergraduate student (working toward your first baccalaureate degree); you need to complete the Federal Student Aid application (FAFSA); and have financial need. You also must never have been convicted of or pled guilty to a felony in any state. The Archibald Rutledge Scholarship Program was named for South Carolina’s first poet laureate and gives senior, South Carolina public school students the chance to compete for a scholarship in either creative writing, dance, music, theater, or visual arts. Must currently be enrolled in 12th grade in a public school in South Carolina. Must plan to attend a South Carolina college or university. Must be a U.S. citizen and have gone to public school in South Carolina for the last two years. To learn more, see the fact sheet on this scholarship at ed.sc.gov. Carolina Spirit Quest is a nonprofit, religious organization that was created to support networking and the building of community spirit among Pagans and Earth Centered religionists in South Carolina and the neighboring area. Carolina Spirit Quest offers an annual $500 Pagan College Scholarship for a rising 12th grade, undergraduate, or graduate student. All applicants must live in NC, SC, VA or the District of Columbia. Applicants must be 17 years of age or older, be Pagan, and currently accepted in a full-time course of study in any accredited trade school, two-year college, four-year college or university. Applicants have to send a copy of their most recent school transcript or grade report to show state of residency, and any other scholarships or grants they are applying for during the year. They must also give the reason for applying in 100 words or less and write a 500-word essay about what being a Pagan means to them. The 500-word essay and reason for applying for this scholarship can be emailed to pagancollegescholarship@carolinaspiritquest.org. Visit www.carolinaspiritquest.org to learn more. The Congress-Bundestag Youth Exchange (CBYX) for Young Professionals is a year-long work-study fellowship cultural exchange program. CBYX annually bestows 75 students with an understanding of everyday life, education, and professional training in Germany. The program starts in July with two months of comprehensive German language training in Germany, four months of classroom instruction at a German university or college of applied sciences, and a five-month internship in each student’s chosen career field. This program is primarily for students in business, vocational, scientific, engineering, technical, and agricultural fields, though students from different fields are encouraged to apply as well. The application deadline is December 1st. Visit www.cdsintl.org to find out more. Crumley Roberts awards three $1,000 scholarships and a laptop computer to Community College students who attend school in certain counties in and around the Greenville and Spartanburg city areas. Be a Community College Student who plans to transfer to an accredited four-year school in Fall 2012. Candidates will be chosen from a written essay. Must have at least a 2.5 GPA or better. Must provide three letters of recommendation including one from a family member, one from an educator/teacher and one from a friend or other community member. Applications must be postmarked no later than February 1, 2012. Winners will be notified by mail before April 1, 2012. If you attend a Community College in the following counties, you are eligible to apply: Anderson, Abbeville, Chester, Chesterfield, Cherokee, Greenville, Greenwood, Lancaster, Laurens, Oconee, Pickens, Spartanburg, Union, York. For more details, visit www.crumleyroberts.com. Charleston Women in International Trade gives two $1,500 scholarship awards annually. The deadline for submission is February 28th. The winners will receive the awards at the annual banquet in April in Charleston, SC. Write a two-page (minimum length), double-spaced essay describing the importance of international trade and state your goals for working in the international business environment and why you think you should be given this scholarship. Be pursuing a degree in international trade or related course of study. Must be enrolled/enrolling in an accredited school. Must provide an official transcript of grades. Must provide a listing of extra curricular activities, civic and community involvement. Candidate does not have to be a full-time student. Must be a full-time resident of South Carolina and a U.S. citizen. Both females and males are encouraged to apply. Learn more at www.cwitsc.org. Outstanding 12th grade students who take part in a franchised Dixie Boys Baseball, Incorporated program and plan to pursue undergraduate studies at a college or university can apply for the Bernie Varnadore Scholarship Program. The minimum requirements include high school grades and testing, evidence of strong school and community leadership, and a significant financial need. Visit www.dixie.org to learn more. The EMU National Scholars Program is a four-year award that awards 30 credit hours per year of out-of-state tuition differential. The applicant must be an incoming freshman or transfer student with a 3.50 GPA and a resident of a state other than Michigan or Ohio to be considered. Learn more at www.emich.edu. The Marsh Scholarship Fund, one of the biggest and longest running scholarship programs in the U.S. surfing community, awards $8,000 in financial aid to ESA surfers every year. Be an ESA current member in good standing. Submit an official school transcript. Submit a letter of recommendation (not from a family member) with the application. Submit a 500-word typewritten letter addressed to the Marsh Scholarship Committee describing your future goals and how your choice of school will help you attain these goals. The application must be submitted to the Marsh Scholarship Committee by May 15. $6,700 academic scholarships awarded to residents of South Carolina based on a 3.50 grade point average, 1200 SAT or 27 ACT, and a top 6 percent ranking in the class. Candidates apply through their high school guidance office in the fall of their senior year. Students cannot be receiving the Palmetto Fellows, South Carolina LIFE, and the Hope scholarships to be eligible for this program. To learn more about the program, visit www2.furman.edu. The Horace Mann Educators Corporation awards scholarships of $30,000 to kindergarten through 12th grade teachers, librarians or teacher’s aides annually. Scholarships are two $5,000 (payable over four years), 16 $1,000 (payable over two years), and 18 $500 scholarships. Scholarships are bestowed based on a teacher’s school and community involvement and written essay. Applicants must live in the United States; residents of Kentucky, Mississippi, New Jersey, New York and Hawaii are excluded. You must enroll in classes at a two- or four-year accredited school. Scholarships are paid directly to the beneficiary’s college or university for tuition, fees and other educational expenses. Visit horacemann.com for more information. The JSU Alabama McGee Scholarship is for $2,000. Any Non-Alabama resident with 28 or above ACT score or SAT score of 1260 or higher can apply. Visit www.jsu.edu to find out more. The Legislative Incentive for Future Excellence (LIFE) Scholarship is a merit-based scholarship program given by the financial aid office at each eligible public and private institution in the state of South Carolina. The LIFE Scholarship can be used towards the cost-of-attendance for up to eight semesters based on the student’s beginning college enrollment date. All applicants have to be enrolled in their first one-year program, first associate’s degree, first two-year program in pursuit of a baccalaureate degree, first baccalaureate degree, or first professional degree. Visit www.che.sc.gov to view the full details on the scholarship. The Lottery Tuition Assistance Program gives assistance with tuition to South Carolina residents who opt to attend a two-year public or independent institution. With this program, a student can receive funding up to the cost of tuition. The school of the student’s choosing will notify him or her of the award amount they have received, and this is based on how many eligible candidates have applied, and also upon the amount of funding that is available during each academic year. In addition to various other eligibility requirements, candidates getting funds from this program cannot be recipients of the LIFE, Palmetto Fellows or HOPE scholarships. For complete details, visit www.che.sc.gov. This $1,000 scholarship (amount not to exceed tuition and books) will be presented at a time appropriate to the recipient. The scholarship check will be written jointly to the recipient and the college/university the recipient plans to attend. Candidate must be a resident of South Carolina at the time of applying. Candidate can not receive this scholarship for two years in a row. Scholarship is only for undergraduate studies. Scholarship is also available for fields of conservation/natural resources. A copy of applicant’s most recent transcript. An essay of 300 words or less responding to: “The Value of This Scholarship To Me.” The essay should be typed. Letters of Recommendation (no more than three). The application has to be typed and postmarked by March 15th. Full details can be found at www.swcssc.org. has been awarded the Purple Heart for wounds received in combat. The provisions of this section apply to a child of a veteran who meets the residency requirements of Chapter 112 of this title, is 26 years of age or younger, and is pursuing any type of undergraduate degree. Full details on this assistance program can be found here. The purpose of the South Carolina Farm Bureau Foundation is to award educational funds for scholarships to persons seeking a higher education degree in agriculture or other agriculturally related majors. The scholarships are for South Carolina Farm Bureau member families and will be given to rising college sophomores, juniors, and seniors (freshman are not eligible). The scholarships are awarded on the basis of character, demonstrated leadership abilities, and dedication to agriculture or agriculture related fields. The beneficiaries will be selected by the Scholarship Committee of the South Carolina Farm Bureau Foundation in accordance with guidelines originated by the Foundation’s Board of Directors and approved by the Foundation’s membership. For more info, visit www.scfb.org. 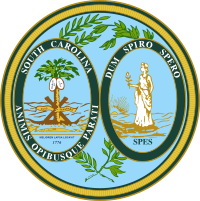 The S.C. Higher Education Tuition Grants Commission awards the Need-based Grant Program for private colleges and universities as a part of the Tuition Grants Program. A student can receive up to $2,500 every year if they are enrolled as a full-time student at a public institution and up to $1,250 every year if they are enrolled part-time at a public institution. Half of the grant is given in the fall semester and the remainder given in the spring semester, assuming continued eligibility. The college where the student is enrolled determines the exact amount, minus any other gift aid received. The grant must be applied directly towards the cost-of-attendance at the college for a maximum of eight full-time equivalent terms. Students must be enrolled in their first one-year program, first associate’s degree, first two-year program leading to a baccalaureate degree, first baccalaureate degree, or first professional degree. To learn more, visit www.che.sc.gov. This grant is awarded to qualified South Carolina residents who are attending eligible South Carolina Independent Colleges. The student must apply every year by submitting a Free Application for Federal Student Aid (FAFSA). The annual application receipt deadline is June 30th and can be done online. This grant is for full-time undergraduate students only, and upperclassmen have to complete a minimum of 24 credit hours each year. For full details on the program, visit www.sctuitiongrants.com. Every year, at the Tall Clubs International Convention, the TCI gives student scholarships of up to $1,000 each to tall students who are under 21 years of age and will be attending their first year of college in the upcoming fall. The candidates must also meet the TCI height requirement minimums of 5’10” for women and 6’2″ for men. Currently, you must contact a TCI Member Club closest to you for sponsorship. Even if they do not have an active Student Scholarship campaign, they may simply appoint you as their candidate. Select the TCI Member Club closest to you from the list of Member Clubs at the TCI website. If you locate a TCI Member Club close to you, send them email to the listed address asking about their Student Scholarship program. If they reply they do not have one, ask them if you can be appointed their candidate anyway. If they reply no, then you have no further recourse at this time. At this time, the ONLY WAY to be considered for a TCI Scholarship Award is via a local TCI Member Club, as described previously herein. This program is not currently configured to allow any other methods of consideration for students to receive this award. Visit www.tall.org to learn more. The American Board for Certification of Teacher Excellence (ABCTE) is a non-profit organization that offers an alternative teaching certification program that is accepted by public schools in nine states, including South Carolina. Must be willing to make a 3-year teaching commitment in a high-need area in South Carolina, Mississippi or Florida. Graduating seniors are encouraged to apply within two weeks of their official graduation date. Applications are accepted all year. Visit www.abcte.org to learn more. In order to qualify for the Heidelberg College Out of State Grant, the applicant must be resident of a state other than Ohio and attend Heidelberg College. This grant is extended for four years so long as the student is making acceptable academic progress. To learn more, visit the Heidelberg College website. Verizon Foundation awards scholarships for students who are majoring in the fields of business, engineering and information technology. Additional eligible fields include computer electronics, network administration and international business. Eligible Schools: Miles College, Oakwood University, Stillman College, Talladega College, Tuskegee University, Philander Smith College, Bethune-Cookman University, Edward Waters College, Florida Memorial University, Clark Atlanta University, Morehouse College, Paine College, Spelman College, Dillard University, Xavier University of Louisiana, Rust College, Tougaloo College, Bennett College, Johnson C. Smith University, Livingstone College, Shaw University, Saint Augustine’s College, Wilberforce University, Allen University, Benedict College, Claflin University, Morris College, Voorhees College, Fisk University, Lane College, LeMoyne-Owen College, Huston-Tillotson University, Jarvis Christian College, Texas College, Wiley College, Saint Paul’s College, Virginia Union University, Howard University. To learn more, visit www.uncf.org. The Watson-Brown Foundation awards college scholarships to South Carolina students based on both financial need and merit. This internal scholarship program is entirely managed by the staff of the Watson-Brown Foundation. Scholarship awards are determined by the Board of Trustees during its established second quarter meeting. The Foundation gives individual annual scholarships of $3,000 and $5,000. Scholarships are renewable for the student’s first four years of undergraduate study. Two hundred scholarships are awarded every year. To date, the Foundation is funding more than 800 students at 140 colleges and universities across the country. High school and undergraduate college students from 16 counties in Georgia and South Carolina are eligible for the scholarship. Scholarship beneficiaries have to attend four year, accredited U.S. colleges and universities. To be considered, scholarship applications must be completed online and all supporting documents (transcript, tax forms, letters of recommendation) must be postmarked by February 15. All scholarship awards are mailed directly from the Foundation to the financial aid office of the applicable college or university. Scholarship decision letters are mailed from the Foundation office on April 15. To learn more, visit watson-brown.org. Women Involved in Rural Electrification (WIRE) gives a scholarship to a woman who graduated from high school or earned her GED at least 10 years ago and has not yet earned a four-year college or university degree. The woman needs to be a member/customer of an electric cooperative utility in South Carolina. The scholarship is designed to help women who are out on their own, working a job, taking care of a family, to have a chance to improve their future through education. This scholarship is awarded based on financial need and personal goals. Visit www.aikenco-op.org to learn more. The SC HOPE Scholarship Program was established by the state legislature in 2001. This state-funded, merit-based scholarship was created for those students enrolled at a four-year institution who don’t qualify for the Palmetto Fellows or LIFE scholarships. This scholarship funding is only available during the freshman year. Funds are generated from the South Carolina Education Lottery, and are channeled via annual appropriation to the Commission on Higher Education. For full details on the scholarship, visit www.che.sc.gov. The LIFE Scholarship (stands for the Legislative Incentive for Future Excellence) is a merit-based, rather than financially need-based, scholarship program. Its goals are to increase access to higher education, which will eventually improve the employability of South Carolina students, and to encourage students to graduate from college on time. The scholarship is good for the cost of attendance for up to eight semesters, beginning from the student’s first term of enrollment in college. The award amount differs, depending on the kind of university or school the student chooses to attend. To be eligible for this award, incoming freshmen must meet two out of three academic criteria. Students may earn or regain the LIFE scholarship. Visit www.che.sc.gov for details. The Palmetto Fellows Scholarship’s aim is to recruit the most academically gifted high school seniors in the state of South Carolina to attend in-state institutions, and also seeks to keep the most academically gifted minority students who might otherwise go out of state to study at other universities or schools. This award bestows up to $6,700 every academic year. Eligibility is based on college entrance exam scores, in-state residency, and other criteria. In an effort to strengthen the body of possible educators in the state of South Carolina, the SC Teaching Fellows Program looks for high school seniors who want to teach and assists them in developing leadership qualities educators need. The program provides fellowships up to 200 high school seniors annually and funds are awarded up to $6,000 in a yearly scholarship (for four years), with an additional $300 for a summer enrichment program. Both written and oral applications are key parts of the competition’s selection process, as well as high academic achievement, proof of service to both your high school and local community, and a strong aspiration to be a teacher. For more information, visit www.cerra.org. Created in 1962 by the United States Senate, this nationwide youth program provides an opportunity to high school students to spend a week in Washington, D.C. and gain a brief foundation to the federal government and the senate. Funded and sponsored by The William Randolph Hearst Foundation, the program awards each delegate a $5,000 college scholarship. For more information on this scholarship, visit www.ussenateyouth.org.